To move forward towards your goals you need someway to measure your progress. To move forward towards your goals you need some way to measure your progress. My own system tends to be very simple. For tracking sleep, once again there are many options. You can use an app, or you can use a device like a FitBit or an Oura Ring. I've used apps from time to time, but my general habit is to just get to bed early enough (8:50 PM), so I get 8 hours of sleep on most nights. Do what works best for you, but the main thing is to create your lifestyle that makes getting enough quality sleep a habit. Lastly, exercise. You can Google to see if there is an app you like. My own approach is to just keep a Google document. 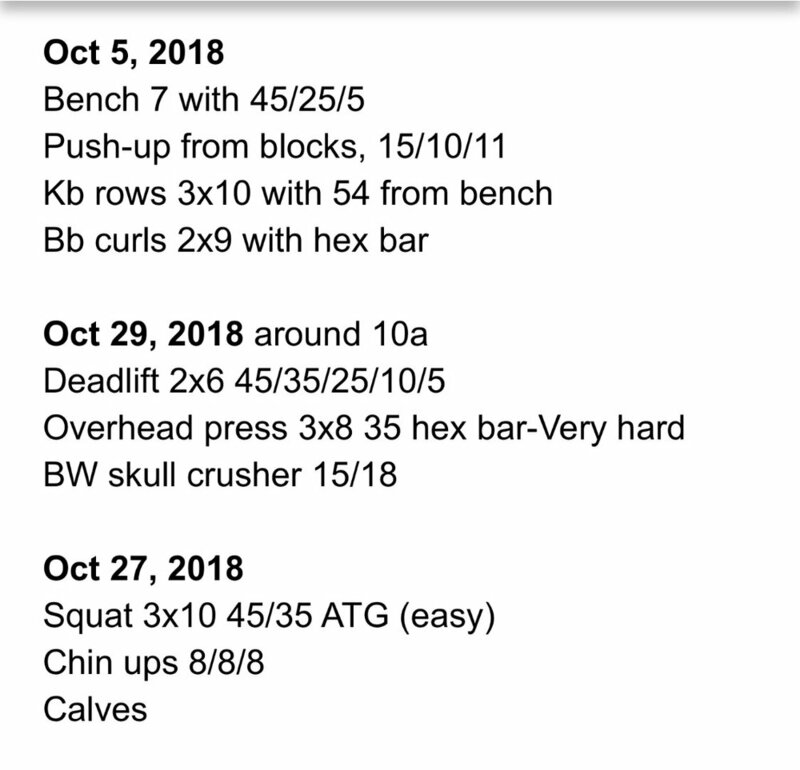 It simply shows what I did, weights used, and some quick notes like how I felt (strong, tired, etc) It's fast for me as I can pull it up on my phone, and add and edit it as I train. Note, there is a break here between dates as I was running for awhile. Keep it simple, and find what works best for you. The important part is making progress towards your goals, and not spending a lot of time fussing with tracking apps and complexity.